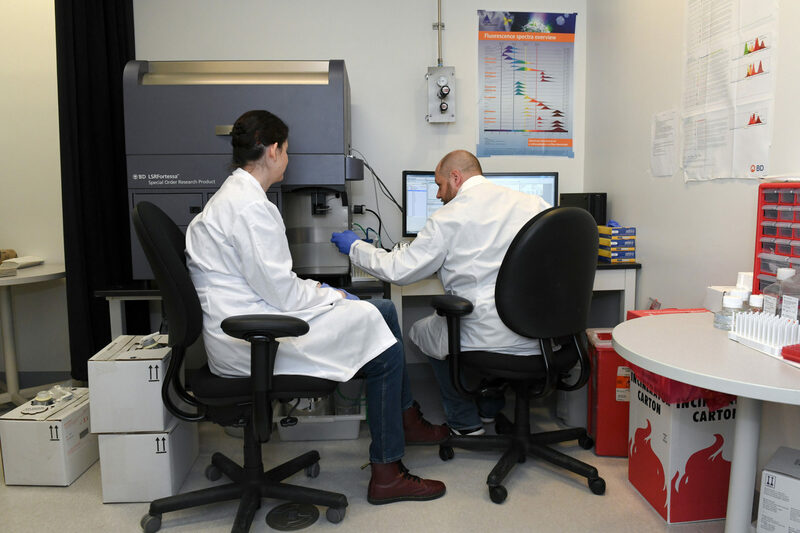 The CDI offers a modern Flow Cytometry Core Facility that includes high parameter fluorescent activated cell sorting (FACS) and flow cytometry instruments and services. 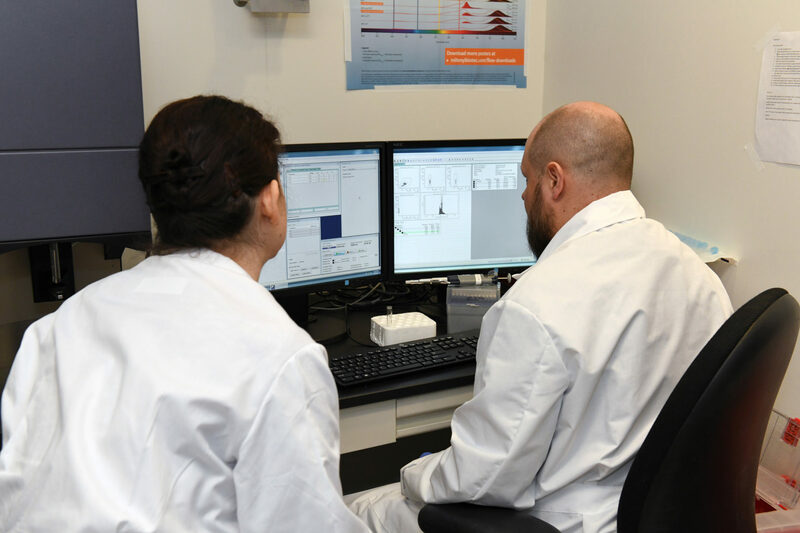 The Flow Cytometry Core Facility lends its expertise in their capabilities to the CDI community and provides consultation on experimental design and fluorescent panel development, as well as in-depth training to allow unsupervised usage. 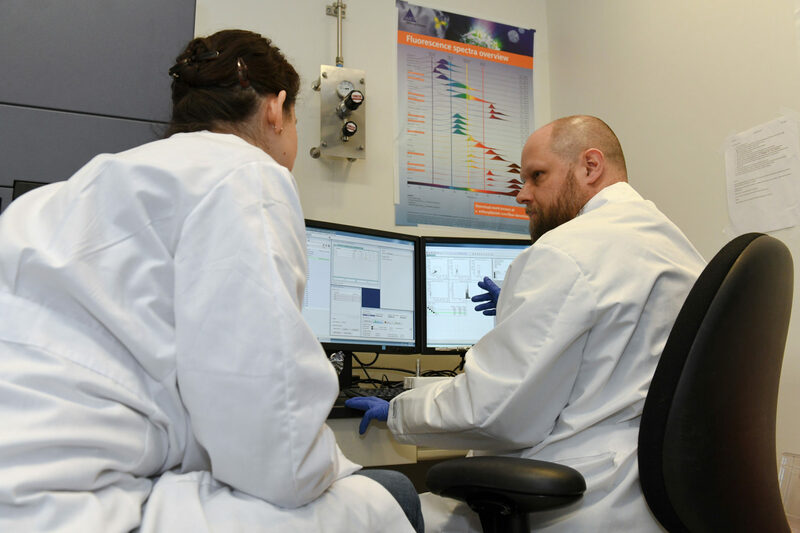 The CDI Flow Cytometry Core Facility is focused on providing top-of-the-line instrumentation that will maximize scientific impact for all of its users. We communicate with our scientific community and partners to ensure that we continually deliver improvements and cutting edge, reliable services. The resources of the core facility are available to all investigators at the CDI and its affiliated institutions. BD FACS ARIA III sorter with Aerosol Management and Temperature Control Systems: 5 lasers (488, 405, 561, 640, 355) housed in a high containment BioBUBBLE and capable of 4-way sorting with up to 19 parameters. BD Melody Sorter: 3 lasers (640, 405, 561) housed in a BSL2 biosafety cabinet and capable of 11 parameters. Data analysis workstation located in the core facility equipped with upgraded analysis software such as FlowJo.